From an uncharted journey back in time to new ways to appreciate unconventional art, a vacation that celebrates the unexpected is an ideal way to uncover hidden travel gems. (Family Features) Discovering a region’s secret treasures is one of the greatest rewards of travel. When you embrace an adventurer’s spirit, there’s no telling just where you’ll go. From an uncharted journey back in time to new ways to appreciate unconventional art, a vacation that celebrates the unexpected is an ideal way to uncover hidden travel gems. A growing movement of casual wine enthusiasts has wineries popping up all over the country. Regional variances in climate and soil make for some tasty twists on your favorite varieties, so take time to explore and sample the local wine scene. World-class quality wine can be found from coast to coast, and a winery is the perfect place to relax and unwind while taking in the ambiance of a vacation destination. In a place like the Texas Panhandle Plains, history is as much a part of the landscape as the canyons and plains. Frontiersmen and settlers encountered the Comanche nation, which led to the rise of the Frontier Forts throughout the region. Later the area became home to a great part of the American ranching industry. For example, Frontier Texas!, the Texas Forts Trail, Fort Concho, The Texas Plains Trail and the National Ranching Heritage Center are a few places where history comes to life. You may be surprised by what you can find when you venture away from more populated areas. In state parks, you can take adventure into your own hands and get up close and personal with a destination’s rugged natural beauty. The scenic outdoors are the perfect backdrop for you to marvel at the native wildlife, hike, ride horses or bikes, camp, geocache or take a scenic drive. Similarly, local parks or lakes might also offer opportunities for boating, fishing and swimming. Visiting a city with ties to an internationally acclaimed celebrity is almost like entering the screen of a self-directed documentary. You can see where he or she lived and ate, and travel the same roads, marveling at the lifestyle and environment that shaped a bigger-than-life persona. 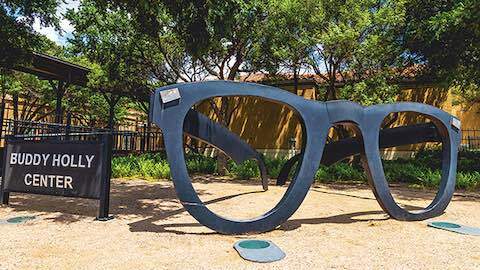 In Lubbock, visitors can do all that and more at the Buddy Holly Center, which pays tribute to the uniquely interesting life of the iconic music legend. Art can be enjoyed in many places far removed from a traditional gallery or museum. 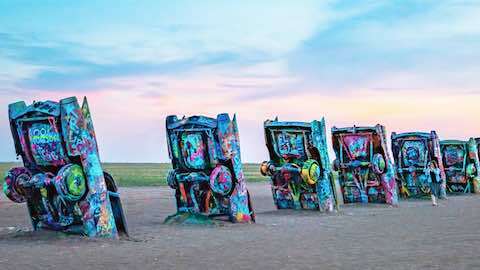 You can even find artistic displays in an empty field, including one located on Route 66 west of Amarillo: Cadillac Ranch was created in the 70s by a group of California hippies. Originally a tribute to the evolution of the Cadillac tail fin, today the 10 vehicles protruding from the earth are scarcely recognizable as automobiles. The iconic attraction is ever-changing, as visitors add their own interpretations to this piece of public art. Vacations & Travel "Exploring These Hidden Travel Gems"